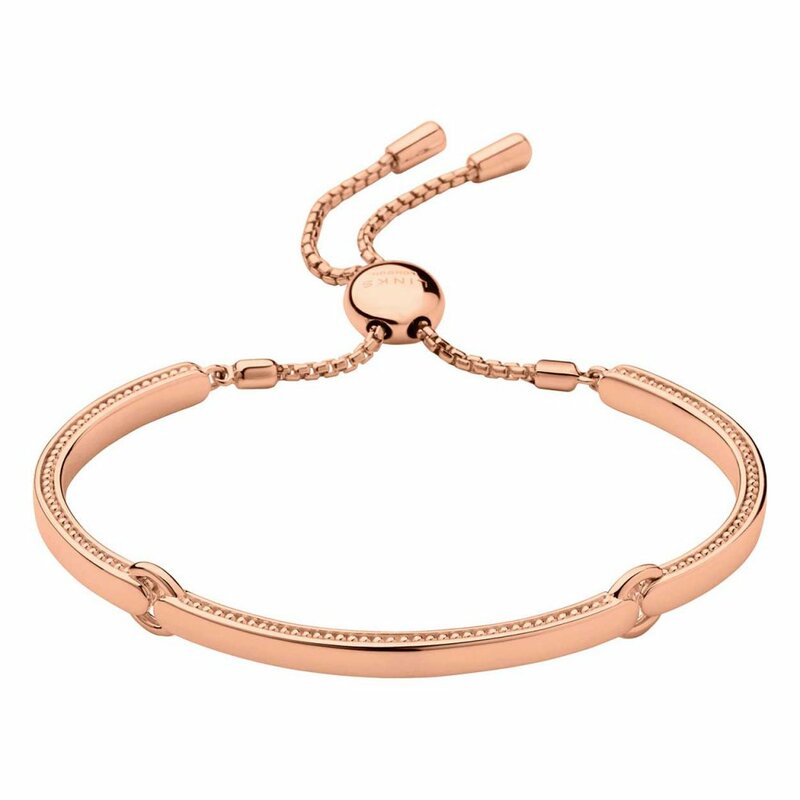 Up the ante this season with this classic Narrative 18kt rose gold vermeil bracelet, crafted in 18kt rose gold vermeil, this bracelet boasts a sleek chain with an original clasp feature for a smooth fastening and adjustable length. Wear on its own or stack with the matching rings or pendants also in the collection for a monogram look. A perfect gift for the fashion forward woman. Personalise your bracelet by engraving it with a special message.ENGRAVING: Max 1 lines, 22 characters. Showing 2 of our total 3 reviews, with an average rating of 5 stars. Read all 3 reviews for Links of London Narrative 18ct Rose Gold Vermeil Bracelet.